Something that still seems somewhat confusing is the whole aspect in game of neighbours, who you can visit and how to get more, hopefully this guide can help. The first point to make is the Trail is NOT like Frontierville in one big aspect. In FTV it's possible to visit every one of your neighbours whenever you want, even if you only gain bonuses once per day. In the Trail this is different, and it's because of how the Trail works. There are never any "spare" avatars on the Trail. 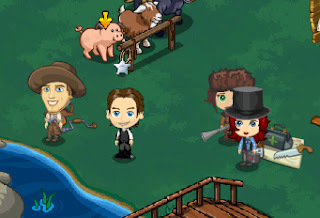 Although on our homestead we might see friends visit, that doesn't happen on the Trail, the only people there that will ever show (barring NPCs) are your own avatar and the three "crew". 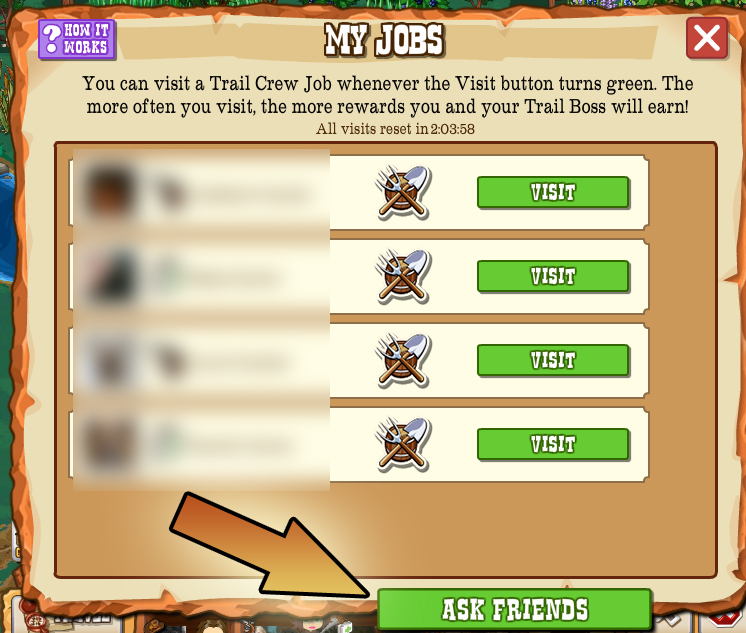 This dictates who can visit, ONLY people who are on your crew can visit YOU, and the ONLY people you can visit are people who have hired YOU to be on THEIR crew. So the only way to "add" neighbours and visit more people is to be placed on more crews. Now, if you're proactive you can ask people directly or you can post a little "Job Wanted" note in Facebook. 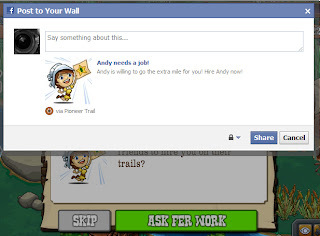 That will bring up a popup to post to your wall showing off your enthusiasm and asking to be hired! 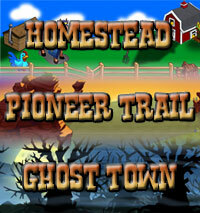 Other than that, you can't add and visit every one of your neighbours any more, or invite new ones to the Pioneer Trail and visit them. 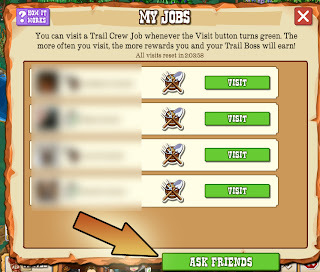 To be able to go to another Trail you must be one of the active avatars there, Doctor, Hunter or Carpenter, and that means being hired.